Dublin: Star Indian boxer Vijender Singh knocked out Dean Gillen of England in the opening round to register his second consecutive victory at the professional level at the National Stadium here on Saturday. Vijender, who had scored a Technical Knock Out (TKO) victory over another Englishman Sony Whiting within three rounds in his debut bout was even more impressive in his second outing at the professional level. 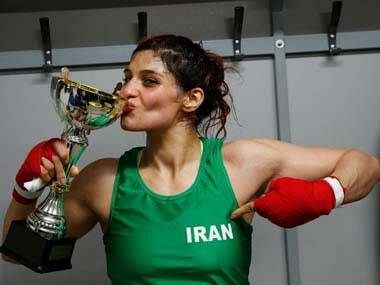 The former Asian Games champion was more defensively solid than his first bout and put his opponent under pressure with power packed blows to the body. 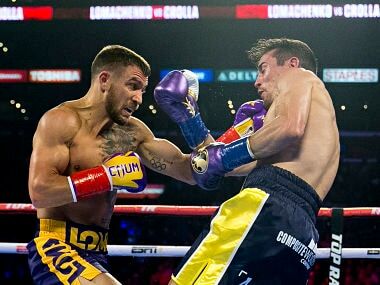 Saturday's four-round bout against the 33-year-old Gillen was expected to be a tougher contest as the British boxer had won both his earlier fights. 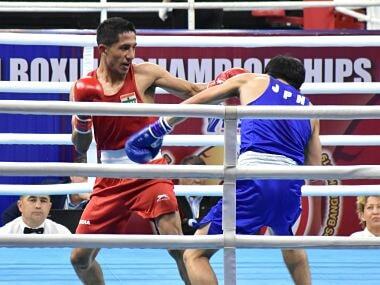 But the contest turned out to be a total mismatch as the Haryana pugilist moved well in the ring, showcasing some nice footwork and put his opponent under pressure right from the start with powerful punches. The Englishman was visibly struggling to withstand Vijender's blows and was sent crashing to the canvas when the Indian caught him on the jaw with a straight punch. 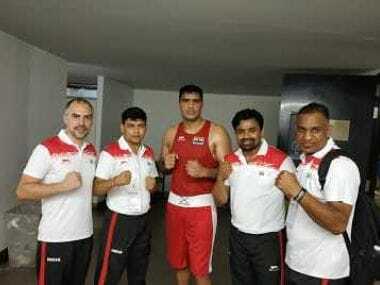 Vijender - who entered the ring to loud drum beats, Punjabi music and colourful dancing by a group of bhangra dancers - continued his brutal assault and even knocked over the referee at one point when he mistakenly caught the official with his elbow. Vijender soon sent Gillen crashing to the ropes for a second time shortly before the end of the opening round and the Nottingham lad could not recover from the blow as the Indian fans among the sparse crowd in the arena erupted in joy. Gillen, who turned pro in May this year, won gold at the 2013 World Police Games during his amateur career.